About 25 percent of our residents have pursued subspecialty training in a variety of fields. Abbott Northwestern is a participating institution with the University of Minnesota Gastroenterology and Infectious Disease fellowships. Our five potential elective blocks make it possible for a resident to become involved in clinical research during the first year of residency and to have additional elective clinical experiences in a field before fellowship applications are due. Click the button below to see past fellowships. The Minneapolis Heart Institute at Abbott Northwestern Hospital and Hennepin County Medical Center have a combined ACGME-accredited 3-year General Cardiology Fellowship (6 fellows) as well as Interventional Cardiology, Advanced Heart Failure, and Valve & Structural Heart sub-fellowships. The mission of this fellowship is to provide outstanding clinical training in cardiology. This fellowship is a wonderful opportunity for individuals to experience world-class cardiology at two distinct sites in Minneapolis. 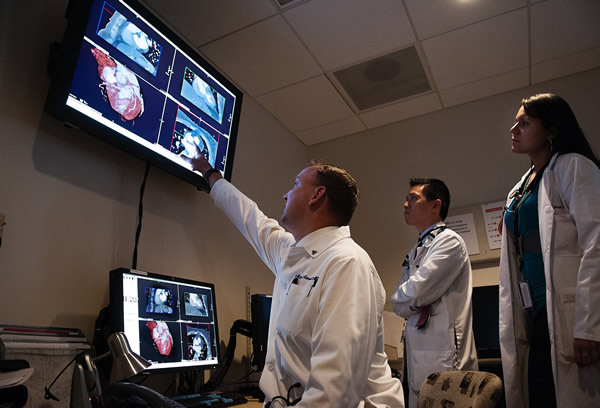 The range of experiences includes in-depth training in all aspects of cardiovascular medicine, including imaging and advanced heart failure/cardiac transplantation. A large volume of clinical research is conducted on the hospital campus, and many residents participate in these activities. With the help of a faculty mentor, each resident completes a scholarly project before graduation from the program. With the availability of the five elective blocks, some residents begin research projects in their first year and continue the research in subsequent years. Many residents have published their work. Click on the link below to see a list of published work and presentations at national/international conferences.